Rural Christian workers are arriving in China's mega-cities and changing the social and religious landscape, as well as challenging the moral authority of the Communist Party. Every year millions of rural Chinese workers swarm into the new vast mega-cities that are growing seemingly unconstrained all over this vast country. 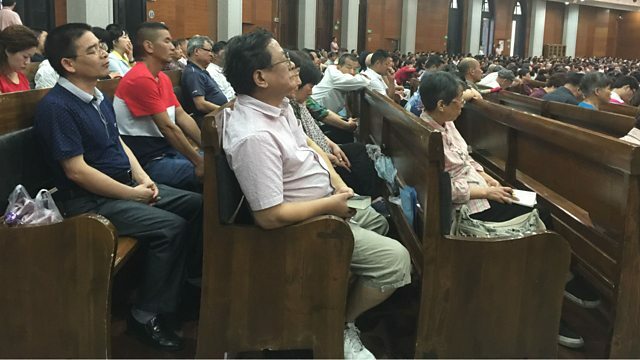 As they settle and populate cities like Beijing and Shanghai, they are bringing their Christian faith with them, changing the social and religious landscape of the country, and challenging the moral authority of the Communist Party. Danny Vincent meets the people worshipping in the shadows, out of sight of the government who have decreed that practising their faith is illegal. Danny asks whether the state is worried that Chinese Christians will shift their loyalty from the ideals of the Communist state to the word of God.